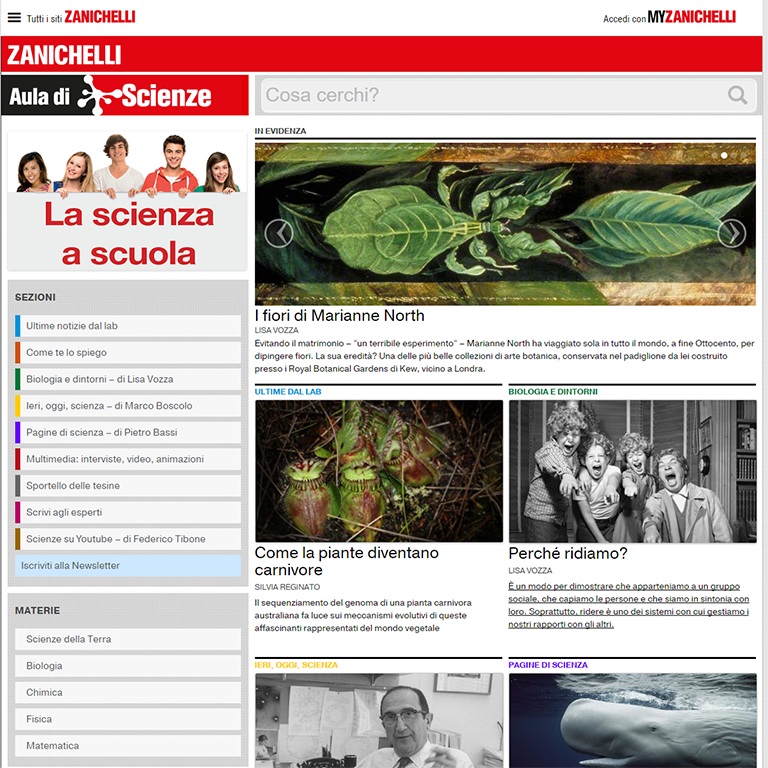 Aula di Scienze is a website created in 2011 by the Italian publisher Zanichelli with the intent to give teachers and students great reading materials, well researched and useful for teaching a topic in school written by other teachers, authors, researchers and professional science journalists and writers. The main idea is to provide the latest updates in science content as well as linking science contents to the contemporary social and cultural contest. formicablu has been part of this project from the beginning, giving its contribution to the design of the website architecture and content layout. Nowadays, formicablu has been committed to coordinating the content producer team, selecting new contributors and providing high quality texts and multimedia, in particular video interviews and special features. Since 2013, formicablu is curating Zanichelli Twitter profile. 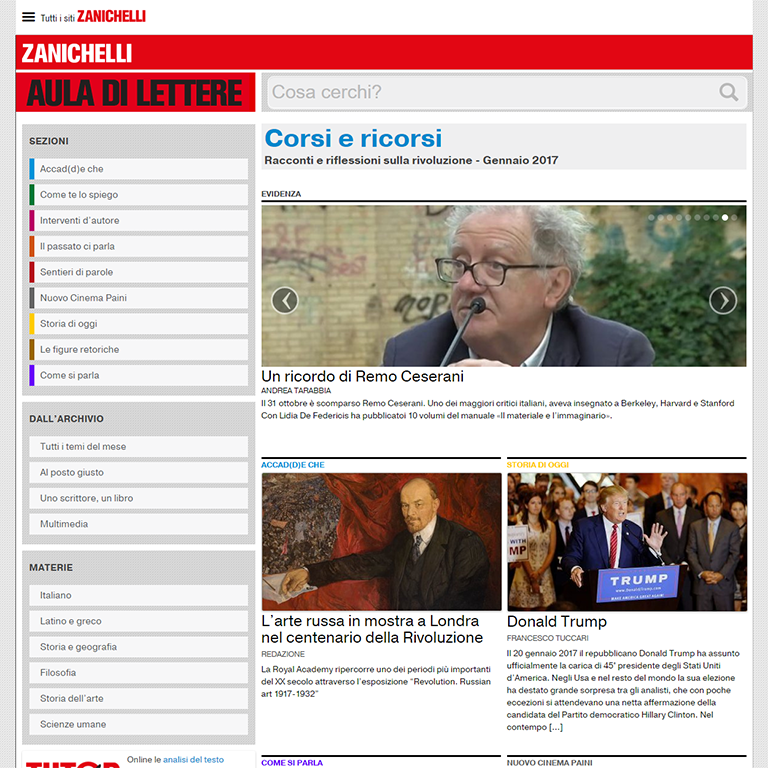 Since 2014, Zanichelli has launched also Aula di Lettere, a similar website designed for humanities (History, Geography, Literature, Philosophy, Human sciences and Arts). formicablu has a very similar role to that played in Aula di Scienze. Since January 2016 has also been published online Aula di Lingue. 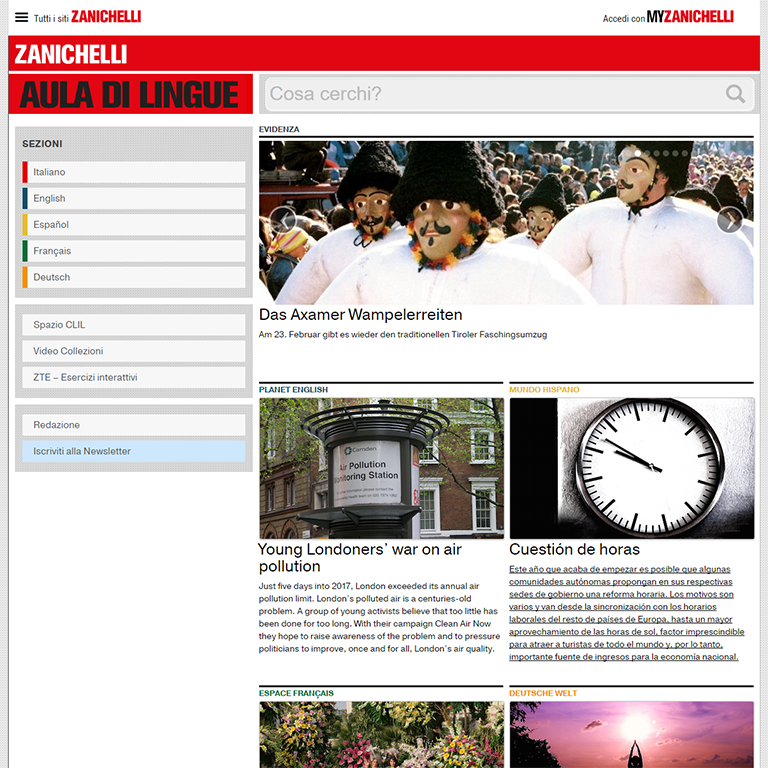 This website offers contents in different languages: Italian, English, Spanish, French and German, formicablu joins the editorial staff and produces news for all the sections of the website, except for the italian one.